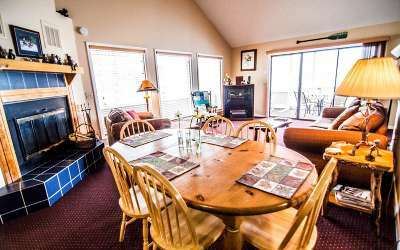 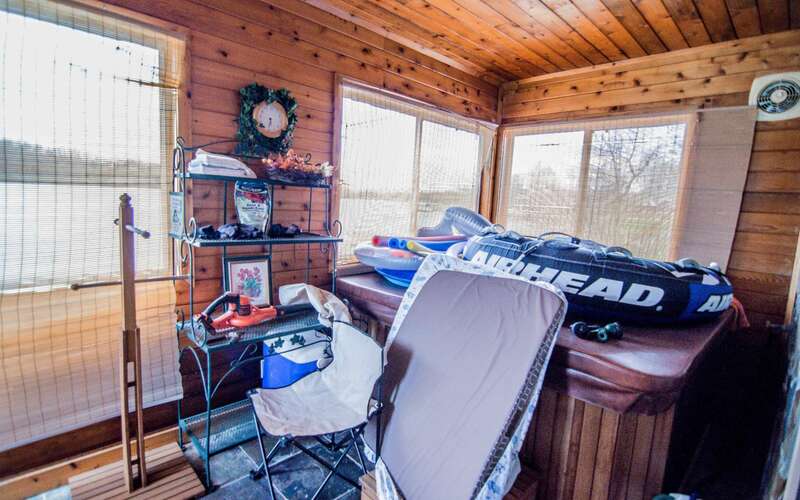 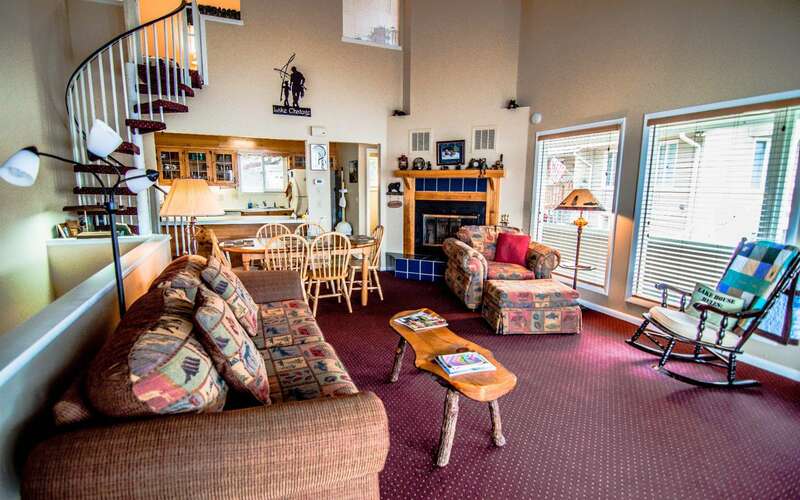 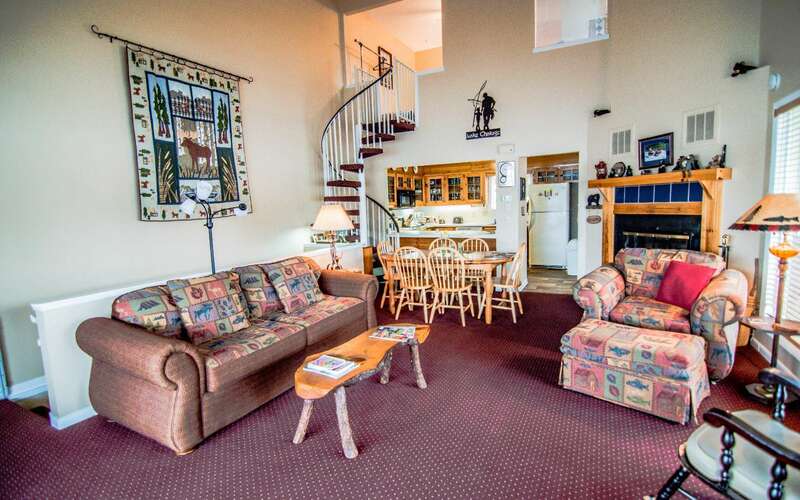 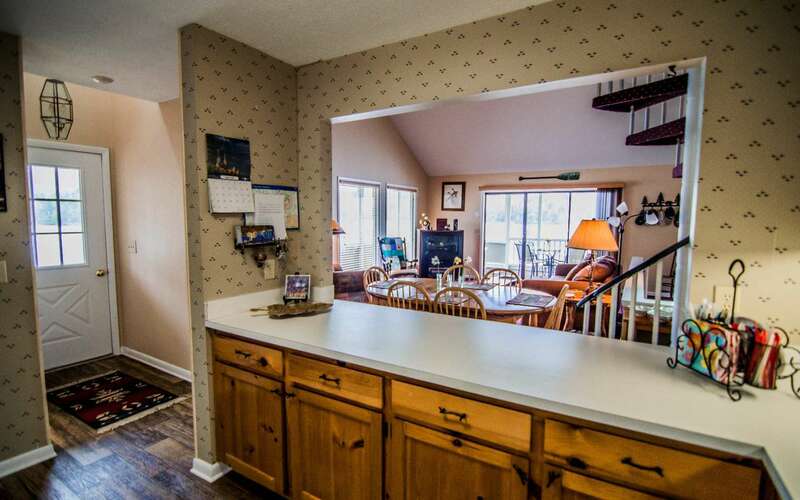 LAKEFRONT LIVING WITH AMAZING LAKE AND MOUNTAIN VIEWS! 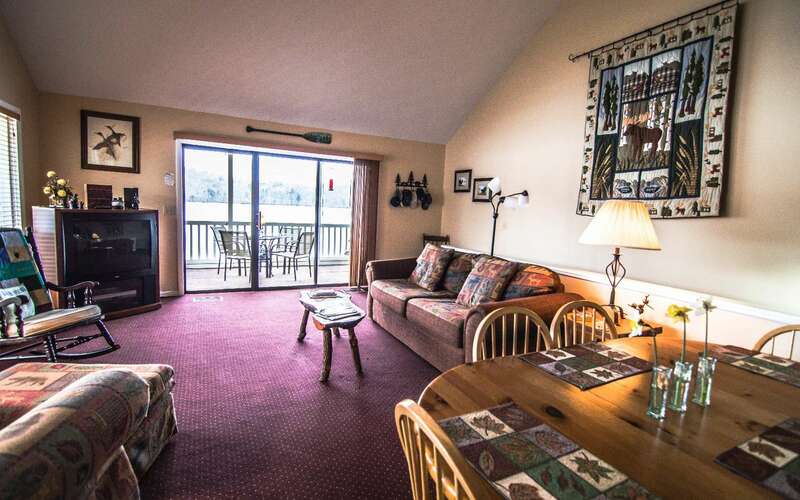 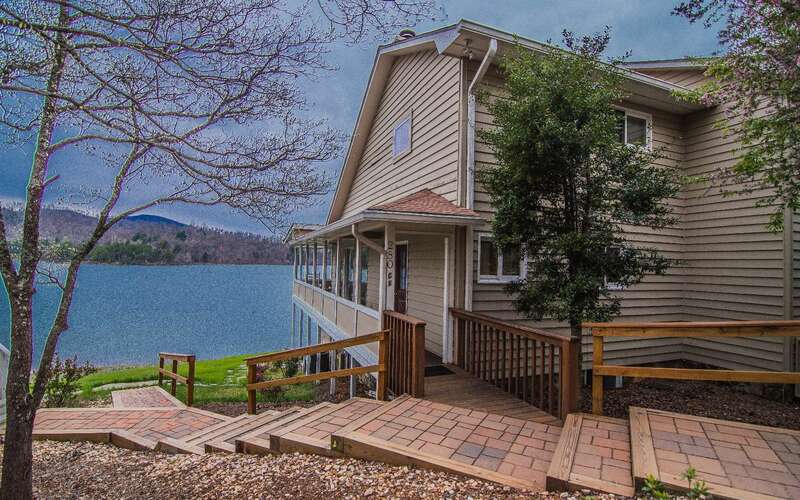 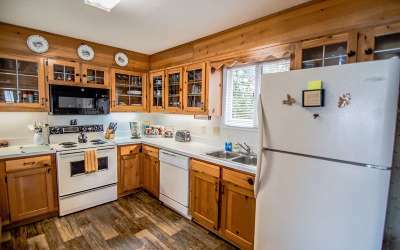 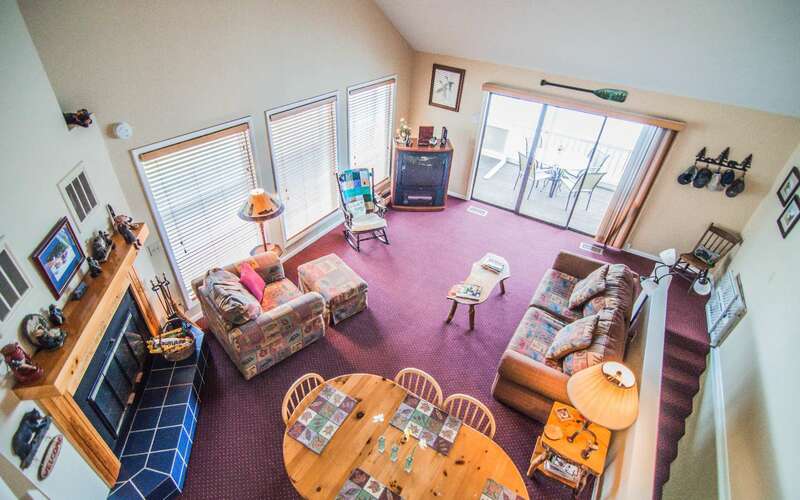 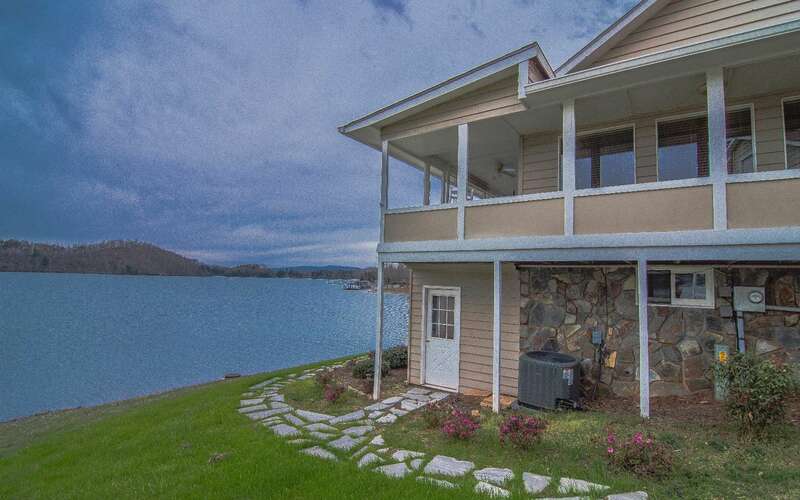 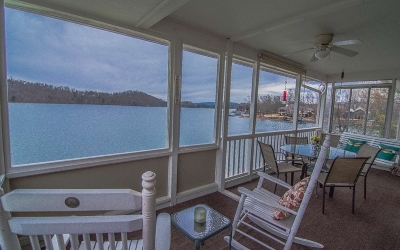 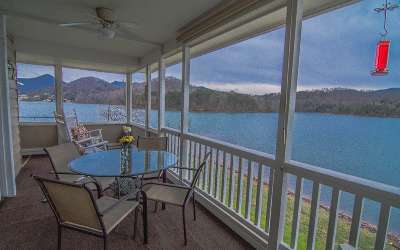 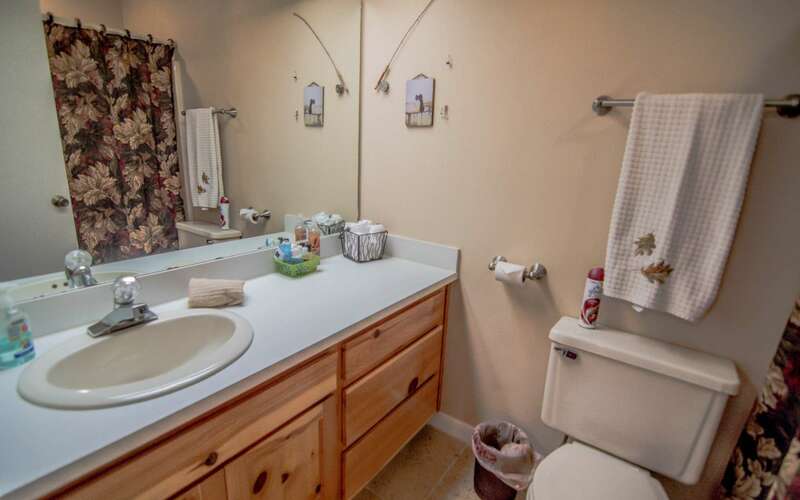 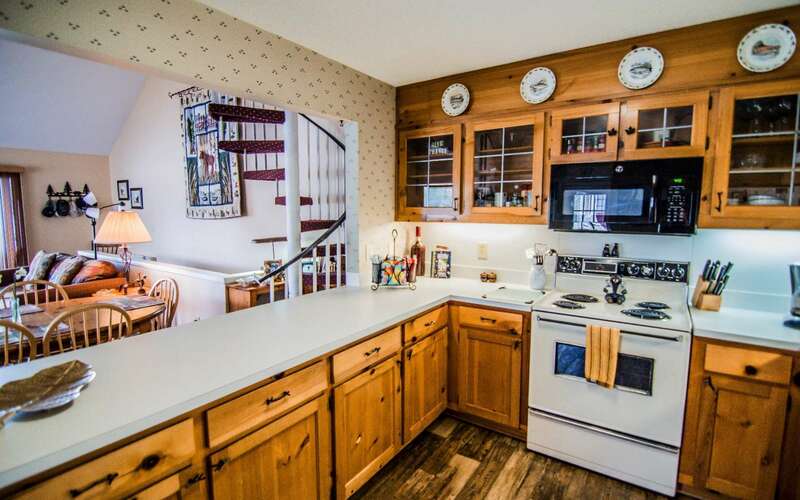 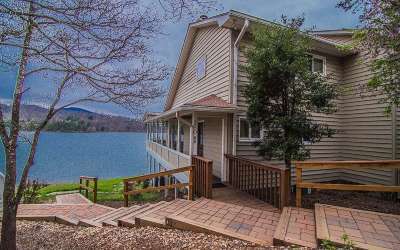 This three-level, lake front town home in immaculate condition is in the heart of downtown Hiawassee offers super, long-range lake views & magnificent sunsets, deck and patio overlook wide open lake views, loft bedroom has half bath. 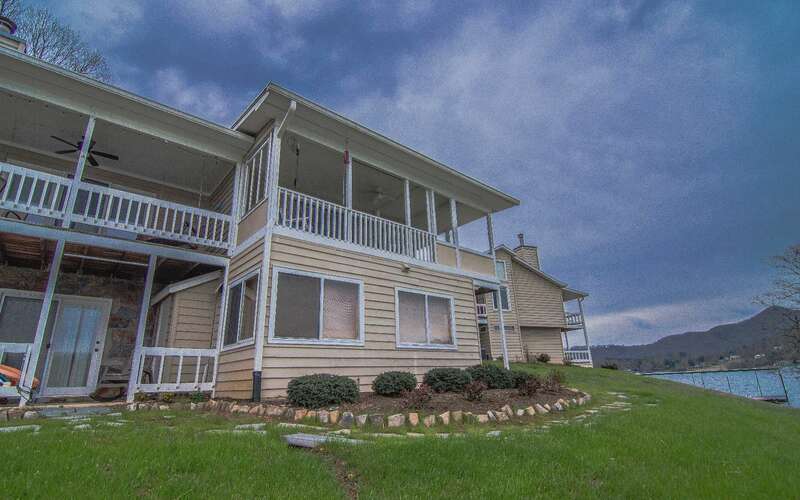 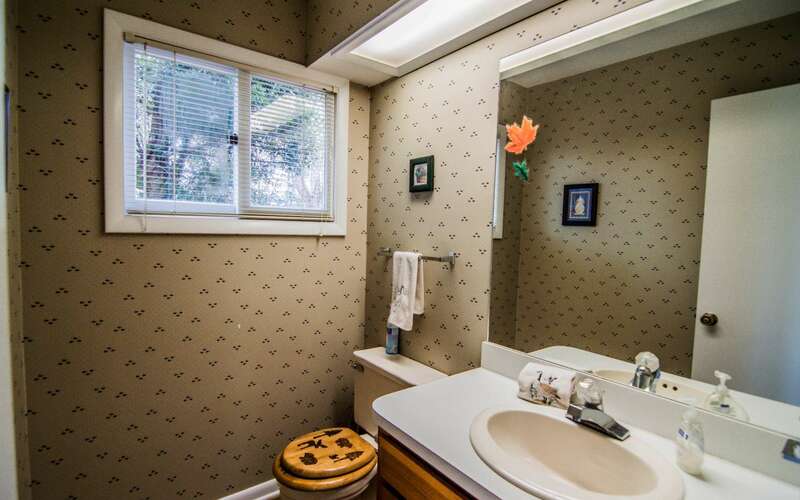 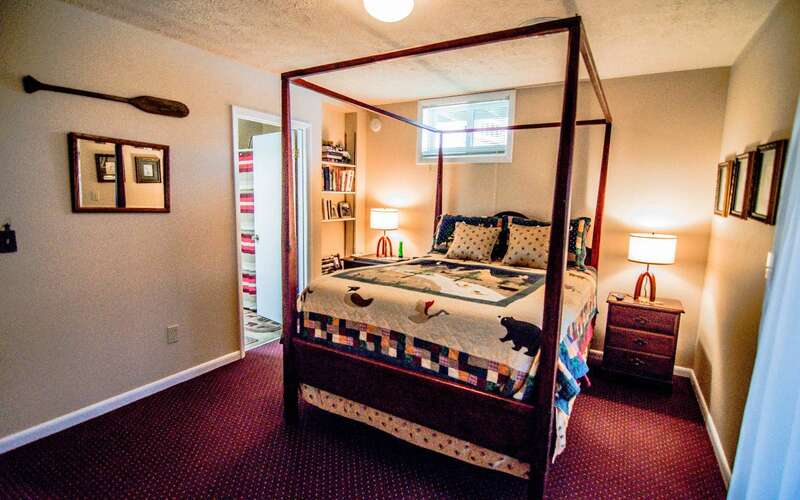 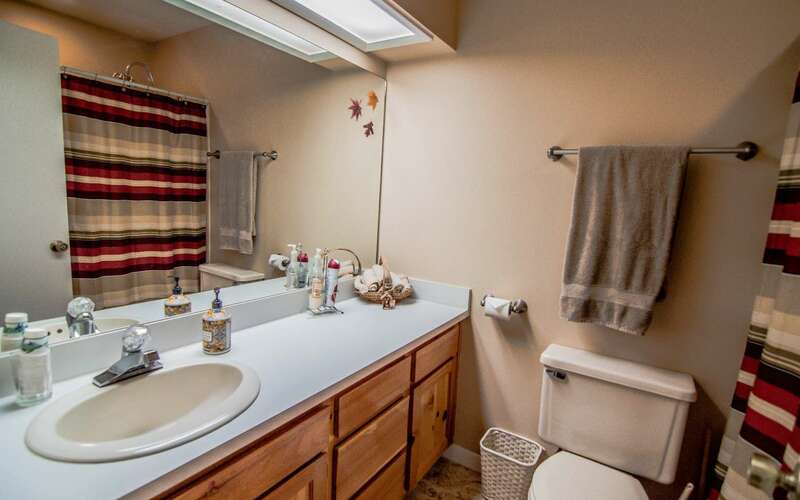 Main Level has vaulted ceiling in Great Room with wood-burning fireplace, kitchen and half bath. 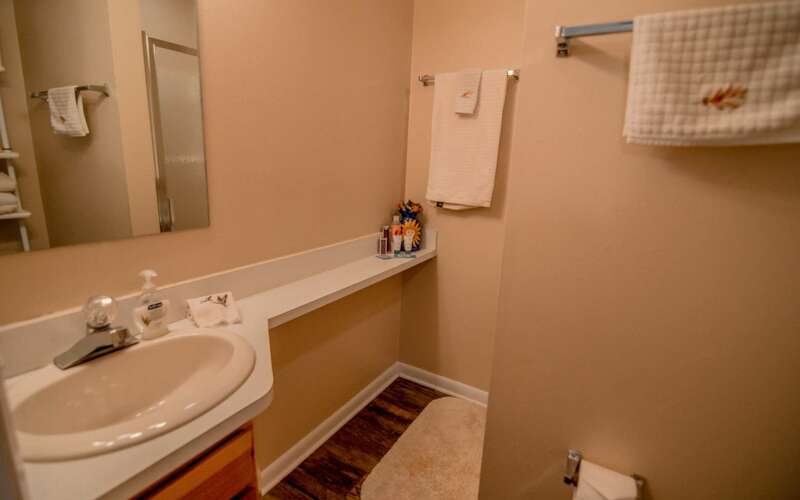 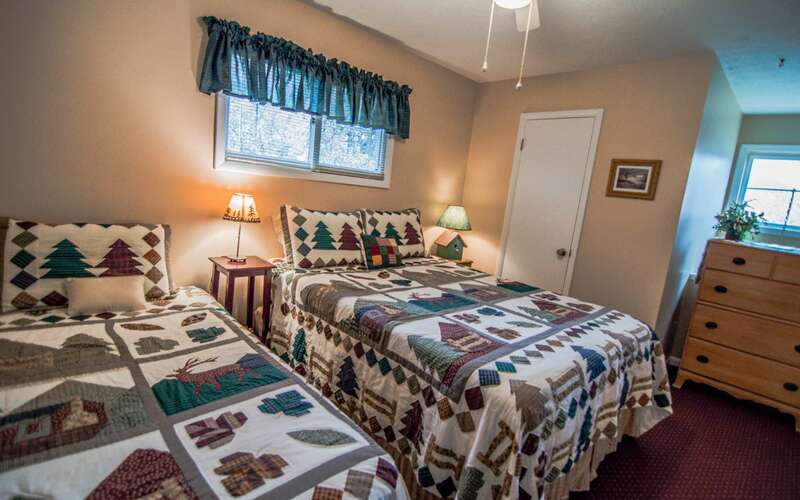 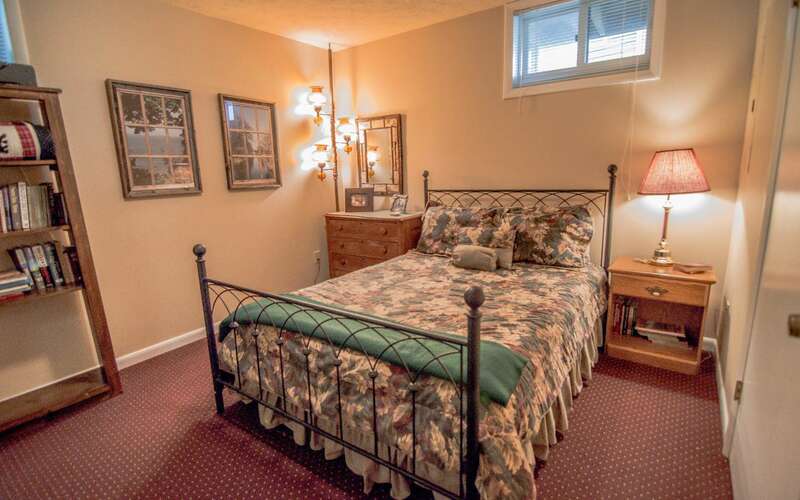 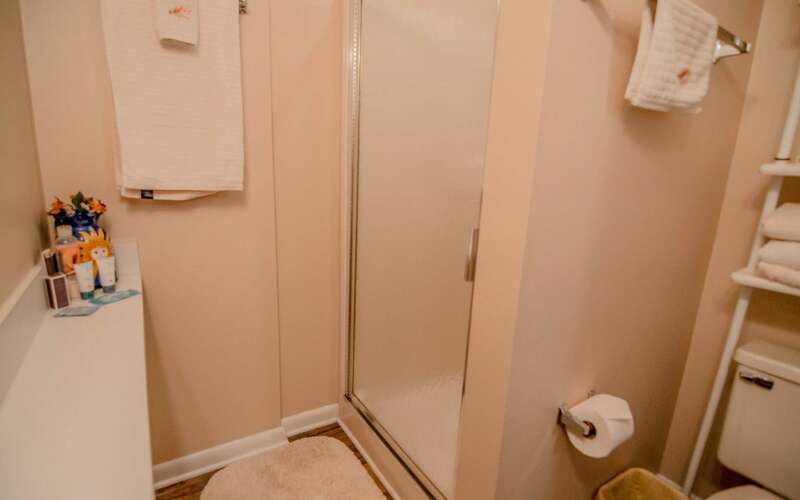 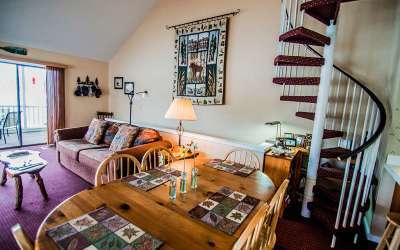 Terrace Level has two bedrooms each with full bath and laundry area in hall. 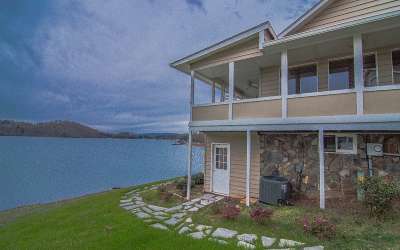 Community multi-slip dock facility so unit has dock space.This home would make a terrific primary or second home or use as rental unit.